Cocoon provides an innovative breakthrough in the removal of accumulated corrosive salts. Applied as an external poultice on the slab surface, Cocoon draws salts out of the structure, protecting concrete and reinforcing from further degradation. 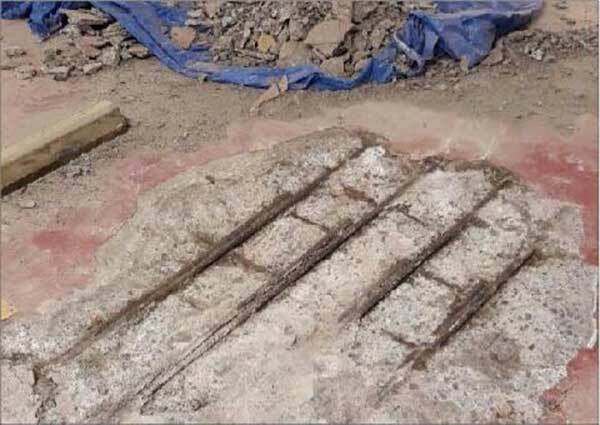 For suitable applications, within 4-6 weeks, slabs and reinforcing can be returned to an alkaline environment. 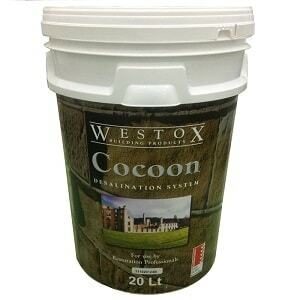 Manufactured from paper fibres, Westox Cocoon is non-toxic. Post treatment, the waste product is non hazardous and easy to dispose of. 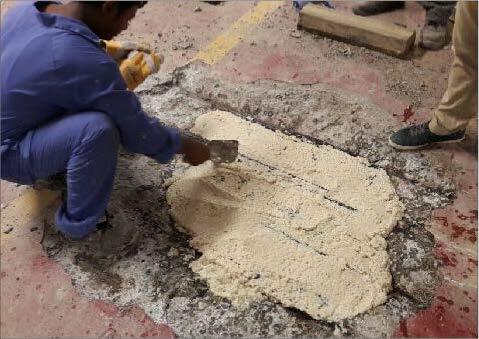 After inspection of the site, and confirming the source of ingress, the surface can be prepared for treatment. Any loose product is removed, allowing for the application of the poultice. Testing before and after application, determines the level and composition of salts present at each stage. This is done by collecting dust samples of drilling to 10mm, 20mm and 40mm. Where drilling into the substrate is considered destructive, after each treatment, samples of Cocoon are analysed instead… with applications being repeated until only trace elements are found in the poultice post treatment. Cocoon is supplied in ready to apply mixture, and can be adhered via trowel or Mono pump. Once applied, the poultice is left to dry for a minimum of 2 weeks (longer at temperatures below 20 degrees C). 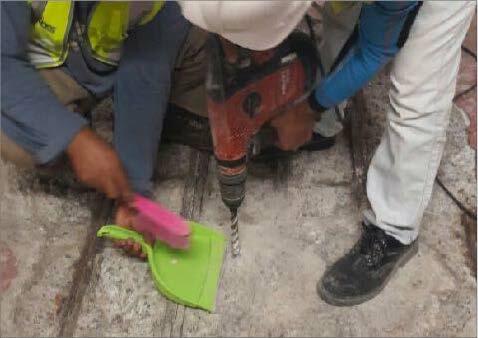 The product is then removed and fresh drilling samples taken. After this, a second application of Cocoon is applied and removed after a minimum of 2 weeks as above. Final sampling and analysis is then completed to verify the salt transfer.